Hello, friends! Thank you for your grace as I’ve been juggling a few extra projects and not able to keep up with as many updates as I want to. I love to keep busy but it’s been a little crazier than I can keep up with lately. :) (PS. if you missed my post yesterday on creating continuity in your home decor style, you can find it here). Here’s a quick update on some of the things I’ve been working on! I have a brand new book manuscript deadline coming up in just a couple of weeks (cannot wait to tell you about it, I think it’s going to be one of my favorites!). I’m working on a new book launch (Simple Organizing will be out next week, yes, writing a new book and releasing a book at the same time is a bit difficult, ha!!). Plus we have quite a few exciting projects going on around the house, I hope to have a little spring update for you very soon. We are working to finish up a few outdoor projects! I’m so looking forward to spring, so I’ll be sharing quite a few projects outside this year. We’ve got something totally new in our backyard that will be completed soon, so we are super excited to show you! Also, we’re FINALLY getting a new gate for our side yard (long story but this side yard has been the longest project ever. Literally, we’ve been waiting TWO YEARS to have it complete, here is my gate inspiration post). Just for laughs, here’s the view our neighbors have been enjoying for the past year. 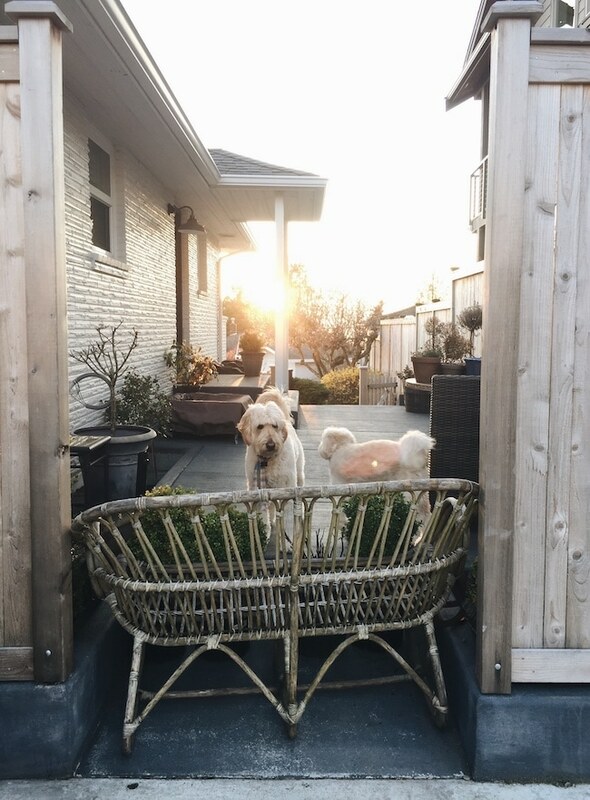 Cool gate design, or dog barricade? Hmmmm. I bet the neighbors aren’t quite sure what to make of it! We’re very classy. But at least I’m proud to say that we’ve finally eliminated the blue *fitted* sheet from my son’s window (if you missed that confession, check it out here)! We have brand new shutters and they look fantastic, so I can’t wait to take some photos and share them (as well as my bedroom makeover, my new bed came and I just love it!). This year we’re actually launching a few of our very own home products! The first set will be our two rugs with Dash & Albert / Annie Selke. We received the sample of the striped rug with the Swiss cross trim (above) and we’re pretty thrilled with it (excuse the rolled edge, I was so excited to see it in the kitchen I didn’t even wait for it to relax). We got this opportunity through YOUR votes for our rugs during the contest, so I cannot thank you enough! I have loved Dash & Albert rugs for as long as I can remember, so this is truly a dream come true. Both of our rugs will be available for anyone to buy soon! I’ll keep you posted on details. Hope you are having a great week! I have family coming to visit us for Easter so I’m doing some spring housecleaning right now and I’ll also be taking photos of my master bedroom makeover this week. Can’t wait to show you how it turned out :). Hi friends! Long time no see! I really didn’t intend to fall off the face of the planet on the blog front last week. Promise! I’ve had a few hectic weeks trying to juggle some big projects and deadlines, as well as some unexpected situations that came up and complicated my schedule (plus family, work, life, and everything in between). I just needed to hit pause on a few things for a minute so I could focus on the tasks in front of me. It’s important to do that sometimes, you know? That being said, all is well, and thank you for your patience! I do have a few posts in the works that will update you on some of things I’ve been up to (including sharing our bedroom makeover, complete with the new shutters!). Until then, I wanted to answer a reader question! 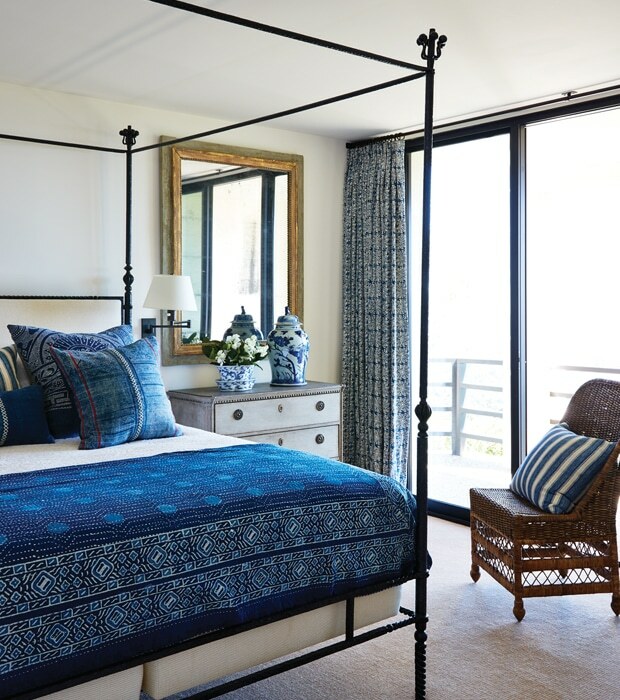 Last week on my bedroom post, a reader asked about how I “connect the design dots” as I called it in order to create a more cohesive style in a home. When you have several different styles or even a few colors you like, your home can go through some awkward phases, can’t it? I totally get that problem! I’ll be sharing some of the ways I’m doing that in my own home soon. Trying to create a cohesive design throughout a home or even in a room can feel tricky, particularly if you are working with a mix of pieces you’ve collected over time. The good news is your home will be unique, and tying things together is a lot easier than you might fear. 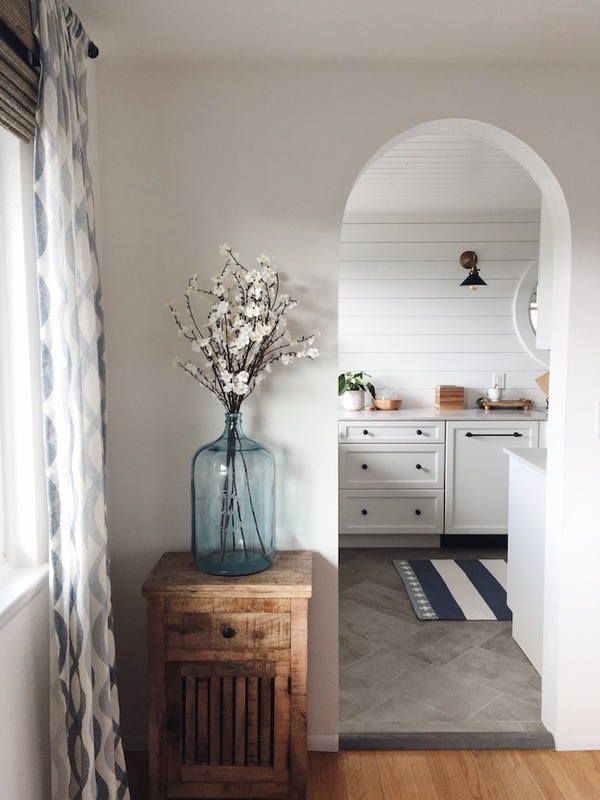 I’ve written posts on this topic and shared examples and ideas in my decorating books, but it’s been awhile since we’ve talked about it so here’s a short answer to blending a mix of styles. I think it’s totally fine to use several different styles of furniture, or use a variety of items you’ve collected over time. 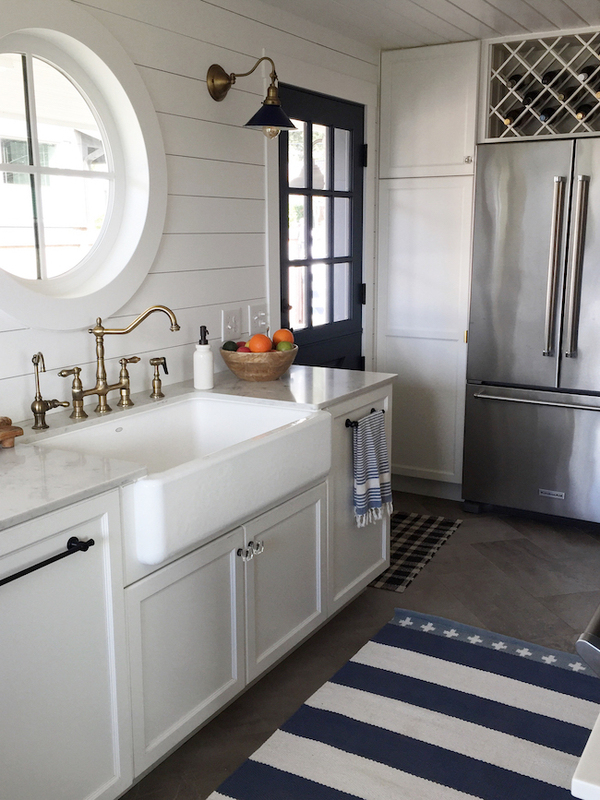 For instance, you don’t have to pare down to “farmhouse” everything or stick to an only black and white palette to streamline your style. There are other ways to do it! If you want to pull a mix of pieces together, I find it helps to create some sort of continuity around the room and around your home. What elements can help you create continuity? Simply repeating a color several times within a room or around your home will make a big difference. The repeat of a color tells your eye the space holds together! The same is true for wood tones. 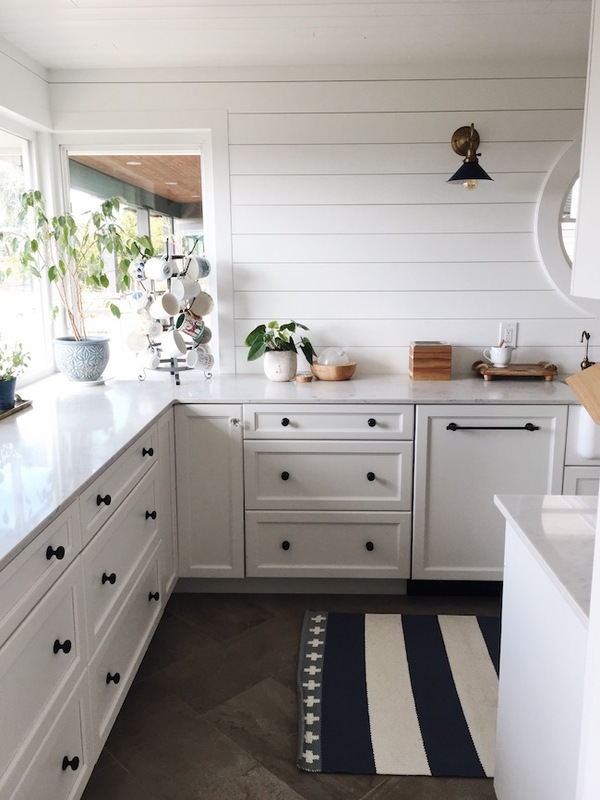 You can definitely mix various wood tones, but repeating one several times connects pieces around the room. Take a pattern and repeat it! It can be as simple as using two or three pillows in the same pattern fabric on a sofa, or one large patterned rug can bring together various pieces of furniture. Anything architectural in your home can be repeated to bring greater continuity to the style. 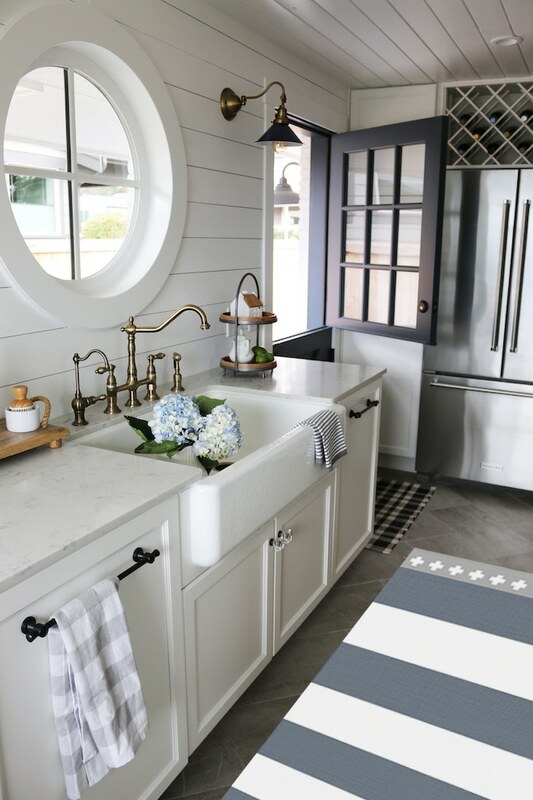 Repeat the same style of doors or hardware throughout, consistent molding or repeated a style in several rooms, repeat metals in faucets or lighting, or use consistent flooring throughout the house. Even if you can’t do all of those things, do what you can. Your eye will pick up on the repetition. Two matching lamps can bring continuity. Several accessories in the same color scheme or shape can make the design feel more intentional and help draw your eye around the room. 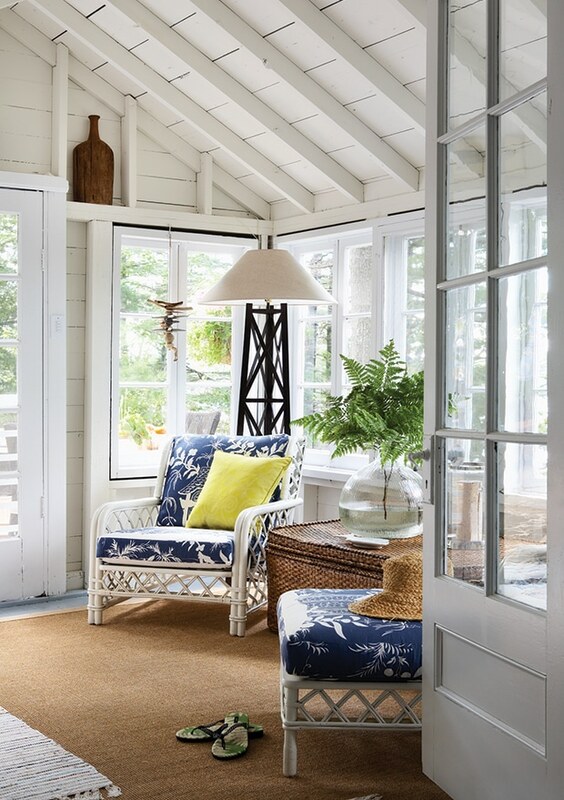 Even if you love a lot of styles you want to incorporate in a room, repeat at least one style (or even a shape of furniture) enough that it pulls everything else together (a matching set of chairs, for instance, can work well). 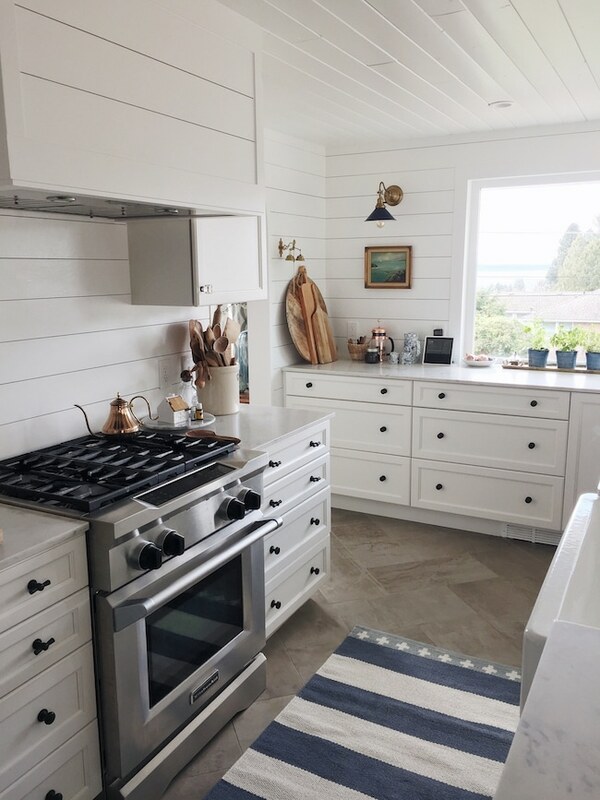 To use farmhouse as an example again, if you love farmhouse but want a mix of styles in your home, adding one farmhouse style antique in several rooms can be enough to make the statement. You can even create style continuity with a repeated shape, like having several straight-lined pieces in your home, for instance. Do you have an eclectic mix or do you tend to stick to one style? 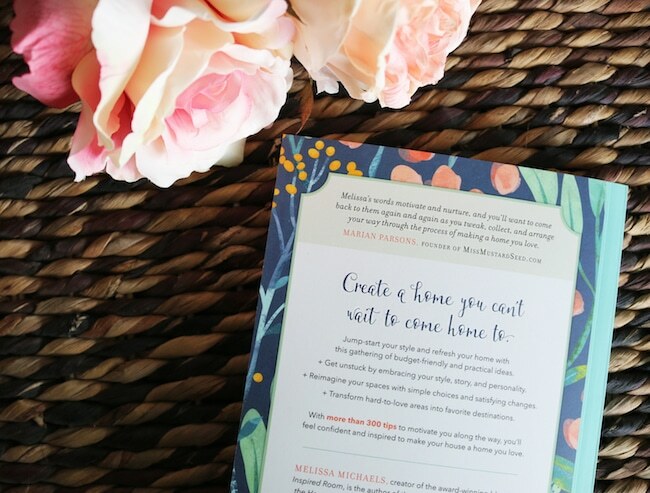 Want to create a home you can’t wait to come home to? I can help with that! 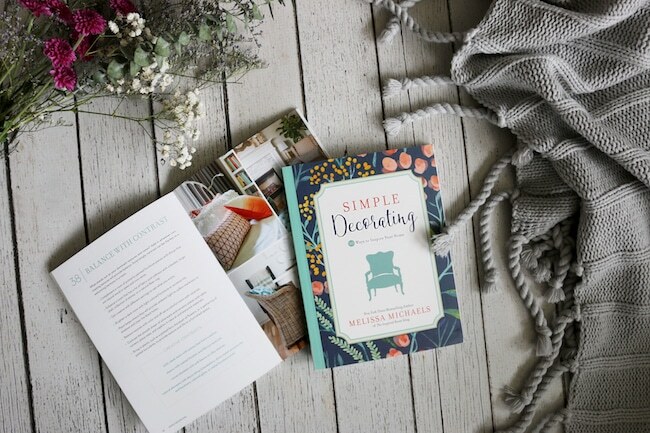 Grab your copy of Simple Decorating at Amazon or Barnes and Noble!